We help to get your hot water back on now! Have you ever stepped into the shower and realized the water just isn’t getting hot? Or maybe the same thing has occurred while you’re trying to wash the dishes, do the laundry, or any other normal household tasks that require hot water. This is an unfortunate occurrence which is a result of a problem with your hot water heater. When this happens, you should allow our team at Lex’s Plumbing to provide immediate assistance. We are equipped to handle any plumbing job you may need to resolve. No job is too large or too small for us to take care of on your behalf. Whatever the problem may be, we get in there and diagnose it as quickly as possible. We know how important it is for you to be able to resume your daily life, so we work very efficiently. Although modern units can be extremely efficient, all appliances are susceptible to malfunctions from time to time. Problems with water heaters typically include issues with the water temperature, cracked or leaking valves, or abnormal noises coming from your appliance. 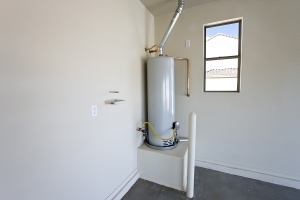 Below are a few of the most common water heater problems. Temperature Issues – Your water heater should allow you to manipulate the temperature of your water with some degree of accuracy and control. Unfortunately, certain malfunctions can make it difficult to achieve the temperature you desire. A lack of hot water may suggest that your gas is off, while water that is too hot may indicate that your thermostat is set too high. Cracks and Leaks – Cracks and leaks can reduce the efficiency of your appliances and increase your energy bills. Leaks can also occur in a few different places. If you notice a leak in your pressure relief valve or your water heater tank itself, call the pros at Lex’s Plumbing for help. Strange Noises – If you notice that your water heater is making sounds you’ve never heard before, it could be alerting you about a problem. A water heater might make loud popping sounds when its tank contains mineral deposits. Treat this problem promptly, as a large buildup can be bad for your unit. A properly functioning water heater can help keep your appliances in top shape. It can also keep your energy bills in check and allow you to enjoy a comfortable shower. There are steps you can take to keep your water heater in optimal condition, and your repair and maintenance technician can be of significant help. It’s a good idea to have your water heater repair specialist maintain your unit on a yearly basis in order to make the most of your appliance. When you have a lot going on in your life and realize you have a water heater problem, the last thing you want to worry about is how you’re going to fix it. You have a busy schedule and may not have time to be searching for where you put the manual or figuring out which manufacturer to call. Let us come out and take care of the repair for you, so you can stop worrying and continue having hot water in your home. If you are in need of professional water heater repair in Frisco, TX, call Lex’s Plumbing at (469) 362-5397 or visit our website to learn about our water heater installation and repair services today.